5 Beds | 3 Baths | 3,112 Sqft Disagree? 2016 ROOF, 2017 Dual-Zone AC, w/Accordion Shutters. 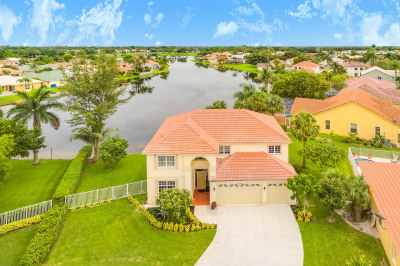 Spectacular long lake views from almost every room of this fully updated, bright & spacious, open-plan, 5BR/3BA + 3 car garage perfect family home, great for entertaining, located on a quiet cul-de-sac in the desirable community of Lake Charleston. This gorgeous home has an airy feel and features soaring 2-story ceilings, huge windows that let in plenty of natural light, high-end laminate flooring throughout, a gourmet open-concept kitchen with 42'' white cabinets, quartz countertops, crown molding, new stainless steel appliances, and a large center island, and an expansive master suite with a tray ceiling, dual closets and a luxurious bath. The large screened-in patio has a covered ceiling, tiled flooring, and overlooks the lake.